For decades, bodybuilders and athletes alike have subscribed to the belief that rapid-digesting, insulin-spiking carbs such as dextrose and maltodextrin were crucial to replenish glycogen, accelerate recovery, and make gains. As it turns out, research shows that these blood sugar shocking carbs aren’t all that effective when it comes to boosting protein synthesis or preventing muscle breakdown. [1,2] All these athletes were left with was a tremendous energy crash from the infusion of quick carbs. The search continued for the ultimate peri-workout carbohydrate that would sustain performance, replenish glycogen, and improve recovery. Enter Carb 10™. Developed by Compound Solutions, Carb 10™ is a revolutionary carbohydrate derived from peas that is extremely fast-digesting, due to its low osmolality, but does NOT spike insulin. 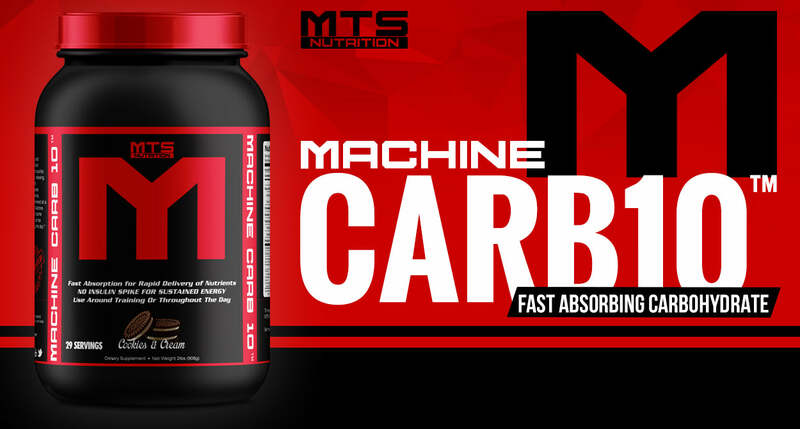 This allows your body to begin the refueling and recovery process immediately without the miserable hypoglycemic crash that accompanies so many other “fast carbs” on the market. Carb 10 will not cause GI distress or significantly impact blood sugar and insulin levels. All it will do is improve your performance, recovery, and lean gains. 1. Koopman R, Beelen M, Stellingwerff T, et al. Coingestion of carbohydrate with protein does not further augment postexercise muscle protein synthesis. Am J Physiol Endocrinol Metab. 2007;293(3):E833-42. doi:10.1152/ajpendo.00135.2007. 2. Staples AW, Burd NA, West DWD, et al. Carbohydrate does not augment exercise-induced protein accretion versus protein alone. Med Sci Sports Exerc. 2011;43(7):1154-1161. doi:10.1249/MSS.0b013e31820751cb.